Does your HR department focus on compliance, employee relations and transactions? What do you wish they would spend their time on? What are the results that you would be looking for? Does your HR department need help in getting to the next level? 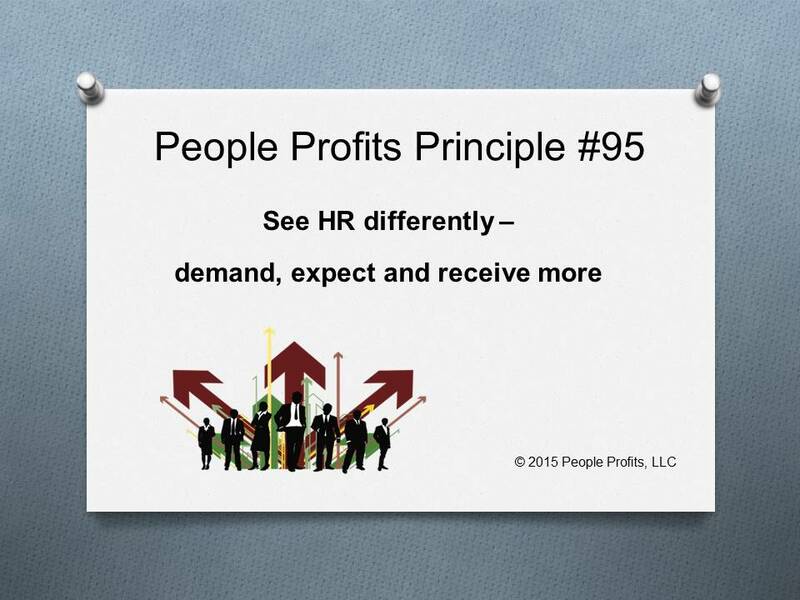 People Profits builds custom strategies, systems and processes to help your HR department become what they have the potential to be: the manager and driver of your "greatest asset". Are you ready to take it to another level?